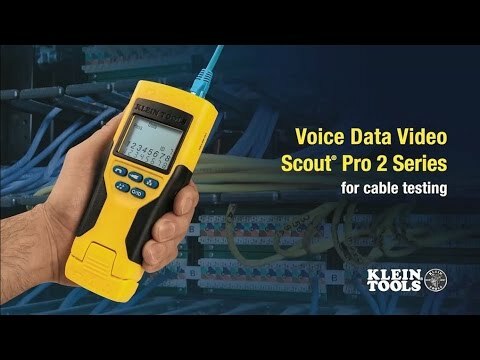 The VDV Scout® Pro 2 Tester Kit is a versatile voice/data/video cable tester that locates and tests coax, data and telephone cables. Identify multiple cable runs with included remotes. With this kit, you can ensure fast and accurate cable installations each time. Read, understand and follow all instructions, cautions and warnings attached to and/or packed with all test and measurement devices before each use. Always wear approved eye protection.